Corporate clients requiring high quality yet affordable accommodation will find a superb solution at Harrington Court. 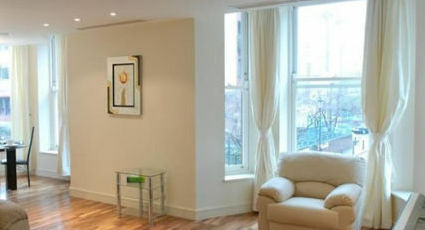 Housed in a recent refurbishment of a building built in 1900, apartments are furnished to the very highest standard. Harrington Court apartments are an ultra-convenient base for your stay in central London, ideal for easy and rapid access to the capital and also to and from London's airports. Whether working in the nearby museums or in the banks and financial institutions of The City of London, the selection of London short stay, ranging from Studio to Three bedroom is designed to fulfill the living, relaxation and entertaining needs of a wide variety of corporate clients. Located one minute from South Kensington tube station (Circle, District and Piccadilly lines), Harrington Court apartments are your ideal base for your stay in central London, with easy and rapid routes across the capital and to and from London's airports.